Like many of you, I watched with glee as Honda revealed the new Ridgeline earlier this week at the Detroit Auto Show. It’s handsome, I thought. It’s practical. It’s well equipped. It has a nifty little storage area that’s perfect for a) tailgaters and b) human traffickers. As David Tracy said, it’s all the truck most people will never need. Too bad pickup owners aren’t going to buy it. 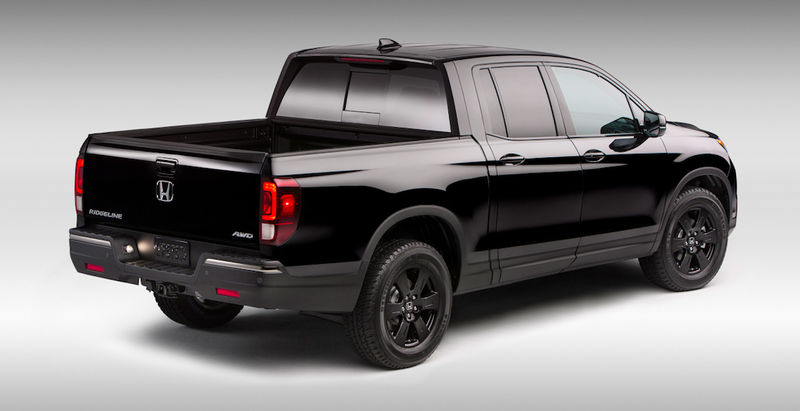 I’ve decided to go against the grain here and say that the Honda Ridgeline won’t be a success. In fact, I think there’s a reasonable chance it will be an abysmal failure. This is a tremendously unusual prospect for Honda, unless of course you count the CR-Z, the Crosstour, the Passport, the Element, the del Sol, the original Insight, the non-original Insight, the entire Acura brand since approximately 1996, and that humanoid robot who fell down the stairs like the priest in The Exorcist. And I’ll tell you why I think this: because of pickup buyers. You see, I read David Tracy’s piece the other day with great interest, because I thought the very same thing when I first saw the Ridgeline. No, it isn’t going to be able to tow a convenience store. And no, you can’t fill the bed with two tons of malted milk balls. But when was the last time you saw pickup owners actually doing these things? The answer is never, because these examples are incredibly stupid. But the point is that the Ridgeline should be capable of handling virtually everything that most truck owners actually need, like carrying around a few people and towing and hauling small items. This should make it a hit, right? You get all the capabilities you need, and in the process you get a more maneuverable, more comfortable truck with better fuel economy. It’s a win-win situation, and it’s going to make everyone happy, except for those people over at Ford who are going to see a sharp decline in F-150 sales the moment the Ridgeline reaches the market, to the point that they may actually have to redesign the next F-150 to make it look slightly different than the last two models. Er… wait a second. I don’t think that’s really going to happen. Because when was the last time pickup owners bought a vehicle based on what they need? I grew up in the American West, and I spent the last eight years in the American South. This qualifies me as an expert on pickup trucks and the people who buy them, much in the same way that people who live in ski areas become experts on snowfall, and people who live in coastal areas become experts on erosion, and people who live in New York become experts in identifying bodily fluids on the subway. What I learned from this experience is simple: most pickup truck owners don’t care what they need. They care only what they want. In fact, after careful study into the matter, I’ve determined that there are two primary questions potential pickup buyers ask when they show up at the dealer. Number one: Do you have a bigger one? And number two: Can you finance me? Sometimes, truck buyers also ask the salesperson to open up a hood so they can Snapchat a picture of their “big new V8” under a large plastic cover. In the South, truck owners would then take things even further. It wasn’t enough for them to buy a Silverado, or a Ram, or a Ford Super Duty, even though the largest thing they carried around was their collection of Staind CDs. They actually lifted the trucks, giving them even more capabilities they didn’t need. By the end of it, these people had a full-size, heavy-duty pickup that could pull a two-bedroom home, haul a Piper Cherokee, and ford Lake Ontario, even though the most serious activity any of these truck owners ever undertook was driving to the front of a backed-up merge lane and forcing their way into traffic. If you don’t believe me, consider the Ford Raptor. This thing has been a runaway sales success, based largely on the fact that it has a big honkin’ V8 with 411 horsepower and 435 lb-ft of torque, ridiculous off-road capabilities for a factory pickup truck, and serious fender flares that make it look like it’s in a desert racing competition when it’s driving down the highway. Do people actually need these features? Hell no! They creep along in traffic with everyone else. It isn’t about what they need. It’s about what they want.